We are so flattered when we have a repeat customer. It tells us that they are really happy with their site/our services, so they want to come back for more! And to those clients that keep coming back, we say Thank You! 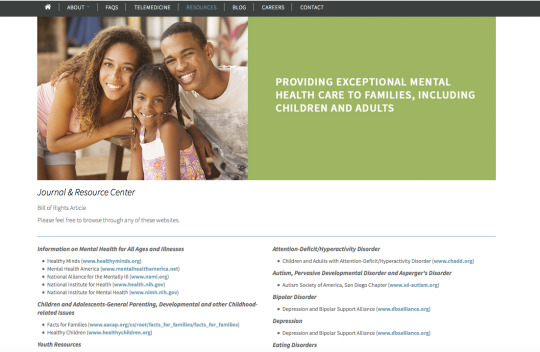 The owners of Life Bridge Kids came to us to build a site similar to their child psychiatric practice website, but this time have the new site catered to adults. 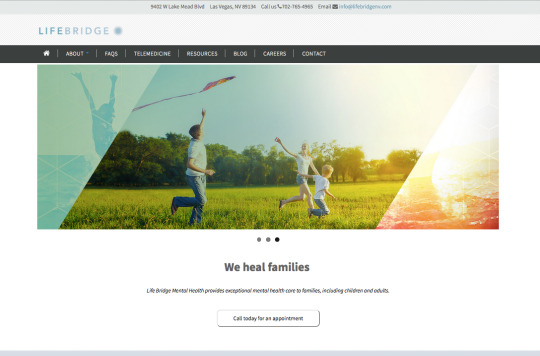 Life Bridge told us that the SquareHook Editor was SUPER easy for them to edit and they wanted a site that looked just like their existing one, with some new information and customized graphics. We told them, no problem!Â We actually used our site cloning feature to not only save us time to create a similar site, but it saved them money too! (win win for everyone!) Tada! We have Life Bridge Nevada! 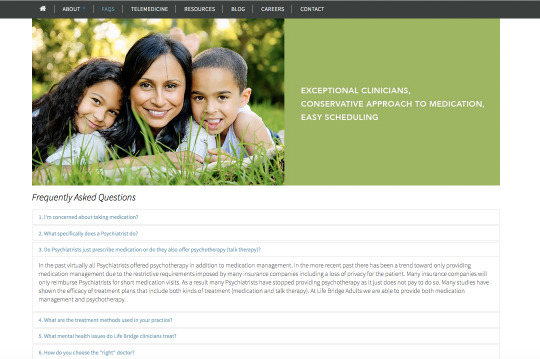 Obviously, with this practice being different than their child clinic, they have different questions clients may have before making an appointment. So we put new content into an awesome accordion FAQs page.Â With so many questions, we donâ€™t want a site visitor to be overwhelmed with content. Accordions are so great for FAQs with so many Q&Aâ€™s. Our tool is so awesome, where you can hyperlink as many links as youâ€™d like (and that is always great for SEO, linking to other reputable websites) On their Resource Page, we took out child-related links, and added in additional resources that are helpful for adults. Look how great the mobile version looks!Â We are just smitten with the Wharton Theme overall, but weâ€™ve added a custom header feature from our Dodgeball Theme (you can have the best of both worlds, if you want it!) and with the colors and visuals for Life Bridge Adults, it makes for the perfect combination for this site. 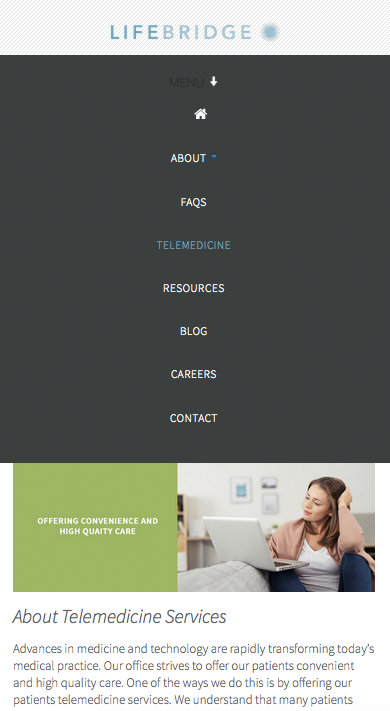 Weâ€™re so tickled that Life Bridge is happy with their second site, and we look forward to working on more sites for them!Â If you are interested in having sibling sites (sites with a VERY similar look) Contact Us!Â We want to make your life easier!